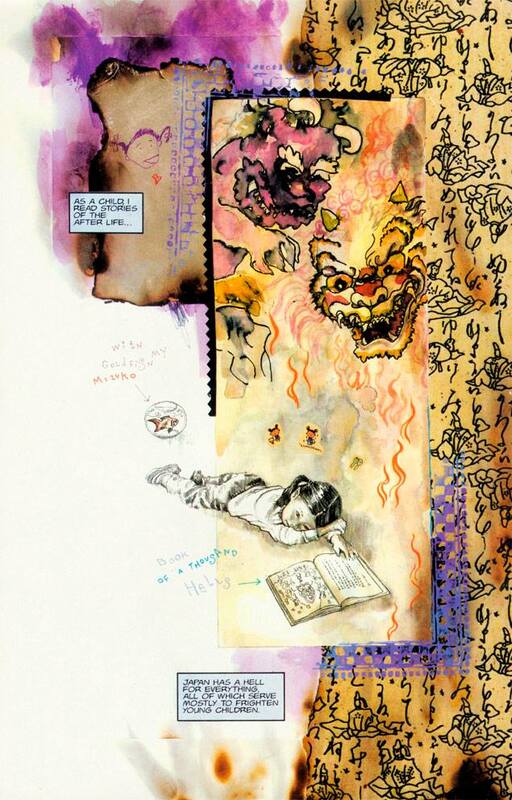 Writer, artist, and genuinely nice guy David Mack took the time to answer some questions that we had about his recently released retrospective Kabuki Library Edition Vol. 1, as well as his work on Fight Club 2 and everything else. 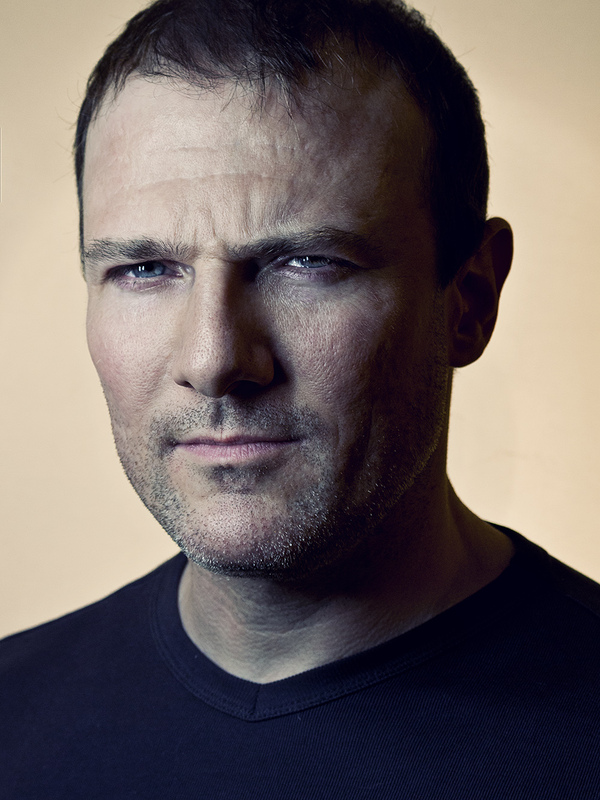 If you’ve ever spoken to David Mack at a convention, you know that he is one of the most effusive and approachable creators in the business, appearing year after year at every major New York convention, always set up across the aisle from fellow Daredevil artist Alex Maleev, always friendly and never pushy. Mack is persistently bursting with energy, willing to take the time to walk fans through his art and talk about his different books, all with a genuine humility that frankly understates the quality of his work, which for decades now has transcended the traditional strictures of comic books to offer a product that, narratively, freely crosses the lines between literature, poetry, and comics, and artistically melds mixed media and painted pieces with pencils and ink. Personally, Mack‘s work has long been a favorite, and his Daredevil run played no small part in dragging me back into comics after a few years away from the medium, his breaks from normative storytelling and rigid panels a reminder of the potential the comics can have when focused on character and artistic quality. 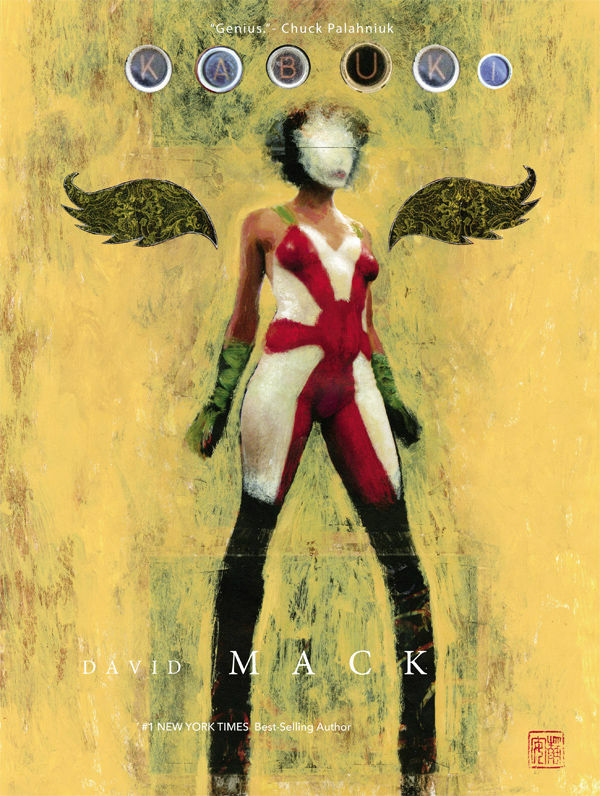 For the past 20 years, Mack has worked intermittently on his creator-owned series Kabuki, which has meandered through a number of publishers, first with Caliber and then Image and then Marvel, as it grew from a college senior thesis into a career-spanning endeavor that has seen seven collected volumes, spawned a children’s book The Shy Creatures, and has been considered for live-action treatment. Earlier this month, Dark Horse — now the fourth publisher to lay hands on the title — put out Kabuki Library Edition Vol. 1, a 400 page tome that collects Circle of Blood and Dreams, the first two Kabuki books, as well as a number of extras, including essays, pin-ups, and other goodies, with the promise of more Library Editions to follow, collecting the rest of the series. Kabuki is, ostensibly, the story of a ninja assassin in a futuristic Japan that is subject to corporate control, replete with crime, and dabbed with elements of cyber-punk. But the story itself is a hyper-personal narrative about growth and change and the nature, meaning and value of family. As much as anything, it is and has been a platform for Mack to experiment, both as a writer and an artist, expanding on what can and cannot be done in comics; as much it is about the character’s growth, the book and Mack both grow as well, as, almost issue by issue, Mack expands on his repertoire of styles — both as a writer and and artist — which becomes readily apparent when seeing the series in collected form. The result is a stunning book; as Chuck Palahniuk of Fight Club fame — with whom Mack is working on Fight Club 2 (more on that in the second part of this interview), Mack “not only makes the invisible visible, he makes it beautiful. G.D. Kennedy: Kabuki has been a project of yours for more than two decades now. What led to releasing a Kabuki retrospective now? Why was this the right timing? 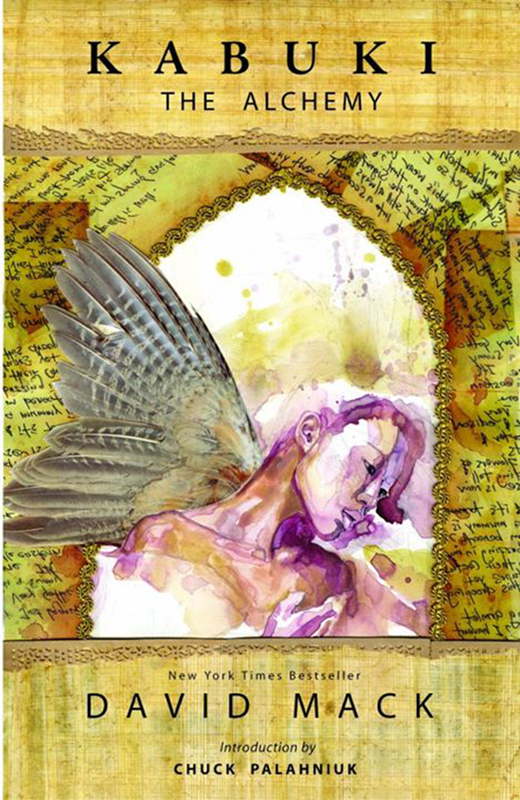 David Mack: Dark Horse and Editor-in-Chief Scott Allie approached me with a wonderful publishing plan and an enthusiasm about publishing Kabuki, as well was my art books: Dream Logic and Reflections. It also just so happened that the timeline for it corresponded with the release of Chuck Palahniuk’s Fight Club 2 that I’m doing the covers for. G.D.: One of my favorite things about reading “Circle of Blood” is that the first issues feel raw but it grows almost issue by issue, both in story and art. In preparing the Library Edition, what was it like looking back at this series that you took from a college senior thesis to a regular, professional publication that’s lasted for 20 years? David: It has been incredible to revisit the stories and collect the stories together in this new shape. The first volume collects my very first painted stories and my first black and white stories, and it is 400-page volume of the work that I did in college and turned for my senior thesis in Literature. So it represents a lot of evolution and growth for me. I can look at these stories in a fresh way, and see things in them that I was not conscious of at the time of making them. Fortunately, I feel like there is marked improvement and growth in each chapter of the story… for the characters… but also my self as a very young creator in a formative time of my life, when I was using these stories as a means to work out a lot of challenging things that I was experiencing at that time. G.D.: In his introduction to the Kabuki Library Edition, Brian Michael Bendis explains that you originally asked him to pencil Kabuki, which is interesting given that your artistic style is so essential to the story. Why were you looking for another artist to work on this book? David: I had written the story, and I was looking for an artist who was more skilled than I was to draw it. Approaching a story or book, I’m a writer primarily. Brian and I met in 1993 and began working together immediately. He was working as a penciler at the time and he was keen to draw the story. Somehow I tricked myself into drawing some of the story, by agreeing to do an 8 page sequence of the story. Then I did another 8 pg scene. And a couple more 8 pg scenes. Still with the idea that the REAL artist would do the REAL Kabuki story. That these were just little scenes to flesh out some ideas. Soon I had had four 8 pge scenes. It was enough to put together and make as its own comic. If you look at those early Kabuki stories, they are these tight little 8 page scenes that are fitted together. I still felt like that first book was a little experiment, and the real artist could do the actual series. But it took off, and I continued doing it somehow. I think the fact that I’m a writer primarily gave me the liberty and fluidity to cultivate a different look for each volume to fit that particular story. G.D.: While a story about cyberpunk-ish ninja assassins, “Circle of Blood” is actually an incredibly personal story about identity and the character’s relationship with her mother, which is an obvious mirror to your own experiences at the time. Looking back at the book now, what was the role that the book played in your life at that time? David: I was very young when I begain working on the story. Barely 20 years old. And I probably looked 14. And there were some challenging things in my life at the time. I had just started college when I was 17, and my mother died during my college years, and other things going on as well. The Kabuki story became my laboratory to perhaps sort some things out. Not really consciously. But in retrospect I can see a lot of things there that maybe the book was a kind of therapy for me to figure some things out, or at least have an outlet to communicate with the world, and be able to put my focus on something that demanded a lot of thought and focus at the time. 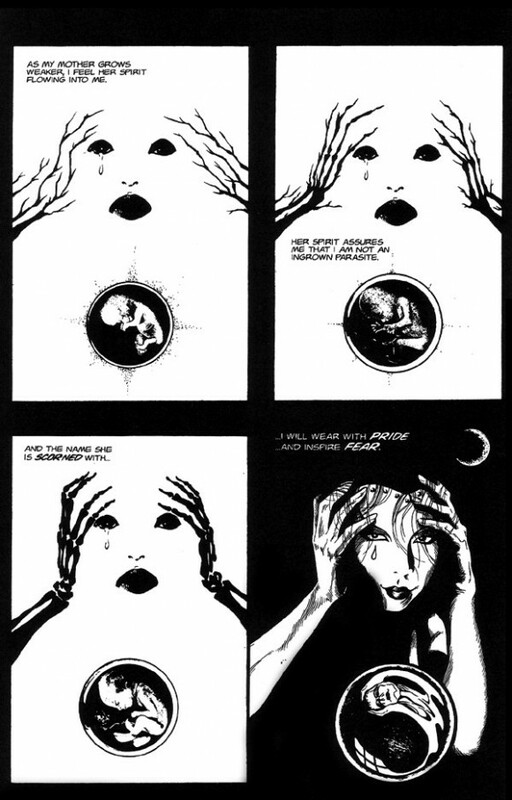 G.D.: Maybe one of the most striking things about reading Kabuki in collected form is the difference in the artwork and storytelling between “Circle of Blood” and “Dreams,” the latter of which incorporates painted and mixed media work, which was a real departure from other comics of the time. Had you always intended to make this transition with Kabuki? What brought about the change at this point in the story? David: Well don’t forget that the first black and white story was also a departure at that time. That time was at the height of the computer colored lens flares. I had offers from publishers to do the first story in color that way. But I saw it as a crime story set in Japan, that would benefit from a stark black and white crime noir look for that particular story. Black and white immediately abstracts reality. It has a sense of period but also a sense of timelessness. Like a black and white photograph from a certain era. I was a painter and sculptor at the time, but I tried to learn how to work in black and white for that particular story. So then the following story offered a great opportunity for contrast. The story tone was different, so I tried to cultivate a different visual approach as well. David: The Alchemy was the seventh Kabuki volume. I felt like each volume chronicled a different era in the characters life and evolution. As well as my own. And I felt like it was a good range and arc of the character and the world. And I felt like after seven volumes, I’m really looking forward to all the other creator owned stories that I can make, on my own, and collaborating with others. That said… I did a brand new Kabuki story for Dark Horse Presents last year… and the world and the characters just moved, and opened up, and so much more was there to tell… it is a real joy to work on these characters… so it would be such fun to do more! By the way, that new story will be collected in Volume 3 of the Kabuki Library with other new stories, like the Lil Kabuki in DreamLand story that I did for the Eisner-winning Lil Nemo book, as well as other extras, that will be collected in Volume 3 Library with The Alchemy. G.D.: There’s an epigraph at the beginning of the Library Edition from Andy Warhol, “They always say time changes things, but you actually have to change them yourself.” Why this quote? David: Changing things is more active than letting time do it. The power of positive thinking is a good start. But the power of positive doing is the next step.